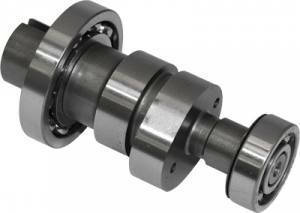 The Koso 240 Degree High Performance Camshaft gives you great results at high RPM. This camshaft can be used with a stock engine, but will even give better results with the Koso 170cc big bore kit. Made from the highest quality material for long life and performance. Performance cams typically have a duration ranging from 220 up to 280 degrees or higher. The higher the duration, the rougher the idle and the higher the cam’s power range on the RPM scale. 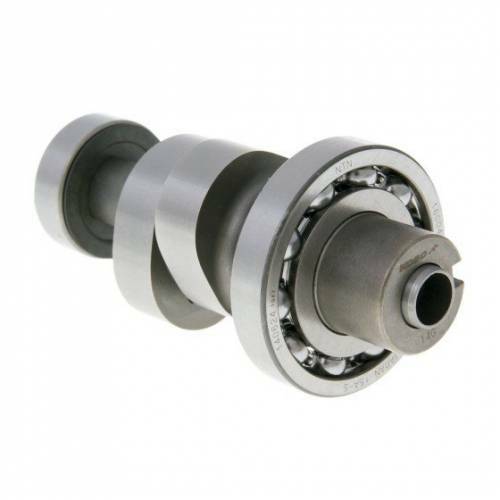 A cam with a duration of 240 degrees or higher will typically produce the most power from 3,500 to 7,000 RPM. Disclaimer: THERE IS NO WARRANTY ON ANY RACE ENGINE parts or engine bore up kits. There is no warranty stated or implied due to the unusual stresses placed on these parts and because we have no control over how they are installed and used. Fast50s will not be held liable for any failure or damage caused directly or indirectly from use of these products or engine. The installation and use of these products or engine shall be conclusive evidence that the user assumes full responsibility for any damage caused directly or indirectly by their use.